David Cox is a frequent contributor to Buber’s Basque Page. Today marks his first article in a new column entitled Altxor Bila (Looking for Treasure), inspired by a Pirritx eta Porrotx song. This series will examine various aspects of Basque music, from current bands to musical history. Ongi Etorri David! A few years ago, I got an e-mail from one Johannes of Pforzheim, Germany, asking whether I knew of any musicians from the city of Gernika, Bizkaia. He and his class were planning to visit their twinned city, and he was working on a project and looking for contacts or help. 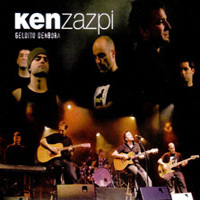 As it happened I had spent a little time in Gernika, and knew of two great bands with roots in that city: Gatibu and Ken Zazpi, two of the most dynamic groups working in the Basque Country today and singing in Euskera, and was able to point him in this direction. Gernika-Lumo, as it is officially known, is at the head of the Mundaka estuary and the centre of the geographically significant Urdaibai region. It has a famous farmers’market and, across the railway tracks, large blocks of industrial land. Most importantly, it has the sacred oak tree and the parliament house. This city, which is known around the world and honoured by all Basques, has a prominence all out of proportion to its size. It also has a proud musical history. A family of musicians from Gernika produced the prodigy Juan Crisotomo de Arriaga, the Basque Mozart. 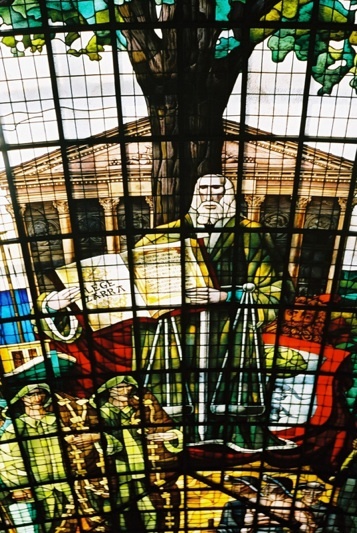 Jose Maria Iparraguirre, the 19th century bard, wrote ‘Gernikako Arbola’ (Tree of Gernika). This, one of the greatest Basque songs, has been recorded many times. It celebrates the ancient oak tree, a symbol of peace and hope for the Basques. Its lyrics express the hope that the sacred tree will spread its fruit and its goodness upon all of us. http://www.youtube.com/watch?v=5rokFK-vwco . Felipe Arrese Beitia, another 19th century bard, wrote ‘Arbola Bat Zan’ (There was a tree) which was later put to music by Oskorri. 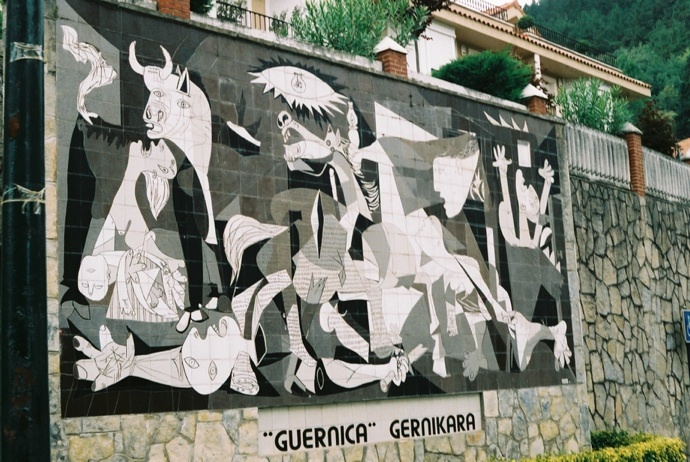 Most significantly, it was April 26, 1937 that etched the name of Gernika (then known as Guernica, as it is still known in Spanish) into world history. The well-known bombing is commemorated in more works of art and music than anyone could estimate. Among Basque composers, Pablo Sorozabal is one of the best known throughout Euskal Herria and in the Spanish speaking world. His Gernika Funeral March is poignant and well-known, using a powerful chorus to deliver a simple, traditional tune. Claves has this on a recording by the Basque National Orchestra. In his book, ‘Dirty War, Clean Hands’, Irish author Paddy Woodworth describes how this march was used to commemorate assassinated Basque politician Santiago Brouard. Within popular music, in 1987, on the 50th anniversary of the bombardment, rock-ska group Kortatu’s song ‘Gernika’ likened the bombing of this Basque city to other current worldwide events. Mikel Laboa, known for his experimental singer-songwriter material, also wrote an impressive and lengthy instrumental homage to the city. His 1999 recording, Gernika – Zuzenean 2, contains a powerful orchestral version of this tribute. 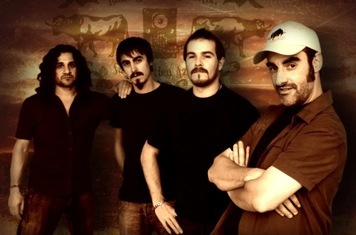 Presently, both Ken Zazpi (Minus Seven) and Gatibu (Captive), friendly rivals for the crown of best Basque-language rock band, are deeply rooted in the history and culture of Gernika. Gatibu singer Alex Sardui and Ken Zazpi singer Eñaut Elorrieta are strong vocalists with great presence. Both groups have produced three CDs of original material in the new millennium; (Ken Zazpi also has two compilation recordings, one of which is ‘live’ and one ‘unplugged,’ with some new songs). Gatibu even sings in the local dialect. Both groups debuted in 2001 with new albums that sold in excess of 20,000 copies. And both merit a listen: Ken Zazpi for the anthemic quality of their songs with Elorrieta’s soaring voice as the perfect vehicle; Gatibu for its fun, hard-driving rock and Sardui’s quirky but powerful presence. The similarities don’t end there: As mentioned above, Gatibu’s Alex Sardui and Ken Zazpi’s Jon Mikel Arronategi both come out of the legendary band Exkixu. Exkixu produced some memorable music in the early 1990s. The Basque alboka was a big part of it. ‘Amaiur’ was the tale of the last defenders of independent Navarra, fighting for their homeland in the year 1512. Their treatment of ‘Loretxo,’ a Benito Lertxundi folk tune set to rock, is legendary. With the 70th anniversary of the bombardment just past, both Ken Zazpi and Gatibu have recorded a Gernika tribute song on their most recent CD of original material. Ken Zazpi put to music a powerful Joseba Sarrionandia found-poem called ‘Gernikan’, (In Gernika) giving a name and a voice to the victims of the bombardment. This was not only recorded in Euskara (http://www.youtube.com/watch?v=khk3btyW0Es) but also in Catalan. Important musical events also seem to happen in Gernika. Recently, Berri Txarrak recorded its live DVD segments in Zertarako Amestu (Why Dream) at the Astra in Gernika. And Kepa Junkera’s video for ‘Reno’ was filmed at the Gernika market. 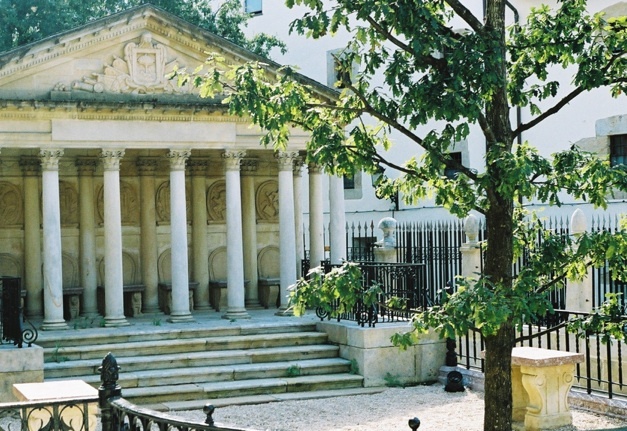 It seems Gernika has always been – and continues to be – a source of inspiration for all Basques, and for musicians in particular. Gernika might not have the highest concentration of aspiring musicians in the Basque Country. But Johannes and his class could not have picked a better place for their project. Previous PostTorta de San Blas!Next PostRecital by Amaya Arberas, Soprano, tonight!